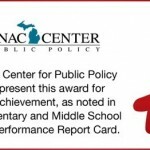 The Mackinac Center for Public Policy recently released a new report card ranking seven Detroit Public Schools in the Top 100 best schools in the state. The Mackinac Center’s generated Context and Performance (CAP) Report Card reviewed 2,246 elementary and middle schools, taking student poverty level into account in order to better examine school performance, and is based on four years of student test scores. The CAP report card is an “apples-to-apples” comparison for parents and policymakers. Known for its unique MicroSociety© curriculum, Davison offers students an opportunity to participate in student-run and operated businesses and agencies. Principal Dianne Holland takes pride in her school for offering its students the opportunity to participate in a MicroSociety© which builds character and develops the students academically as they write business plans, apply for positions and manage employees. Also making the list is Clippert Academy located in multiculturally-rich, Southwest Detroit. Labeled as among the top schools in Detroit by Excellent Schools Detroit, Clippert offers a multicultural school setting abundant in extra-curricular classes including, foreign language and an award-winning Arts program, with students’ artwork displayed annually at the Detroit Institute of Arts. Additionally, two DPS-authorized charter schools secured the top two spots in the state, Martin Luther King Jr. Education Center and Ross-Hill Academy. Additionally, DPS’ Application Schools are currently enrolling students at its 22 locations. The month-long Application Schools Period runs until March 23. Applications are open to families of current DPS students as well as those newly enrolling or attending school elsewhere. For more information or to tour an application school, please call to make an appointment. This entry was posted in Info News Center, News and Press Releases, Student Showcase and tagged 037, 062, 065, 088, 157, 351, 791.